Does Your Roof Have Storm Damage? Call Today For Your Free Estimate! Many homeowners have substantial storm damage without even knowing it. Just because your roof doesn’t have shingles missing or your roof isn’t leaking, doesn’t mean your roof is in tip top shape. 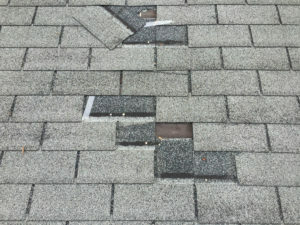 Sometimes it takes actually getting on your roof to determine whether or not your roof has sustainable storm damage. And, that’s exactly where we come in. Our expert team is more than happy to “jump” up on your roof and assess the damage to your shingles from the recent storm. Damage can be as small as a dent from hail or as large as a missing shingle from your roof. No matter how the damage occurred, we will make sure your roof has been thoroughly inspected for any kind of damage. Once we have detected damage is when we will begin the process of contacting your insurance, or if you choose not to work with your insurance company, then we will discuss the estimate details of how much a new roof replacement will cost. 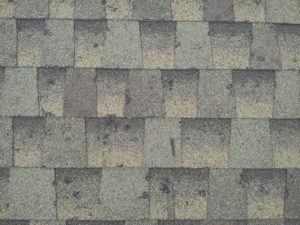 Remember, some damage is more visible than others, and hail damage can result in asphalt shingle blistering which is where mineral granules from an asphalt shingle are removed, and there may be dents, bumps or protrusions on the shingle’s surface. There may also be craters or black pits showing that protective minerals have been compromised. In addition, high winds can cause shingles to become loose and to fold causing shingles to form a crease and eventually shear off. So if you think you have any damage then go ahead and give us a call at 813-835-1209 and we’ll come out for that FREE ESTIMATE and help you get started on your new roof. Contact us today and we can get you a FREE ESTIMATE in as little as 24 hours.